Experience a land of spectacular beauty that's home to peo­ple renowned for their passion in the film Cuba 2D. The is­land nation is preserved in time yet poised on the cusp of dramatic change. Cuba's vibrant culture, distinctive colonial architecture, and unspoiled ecosystems all provide a vivid window into the past. You will be transported across breathtaking island landscapes, below the ocean surface to dazzling reefs, and into streets invigorated by music and dance in the heart of Havana. 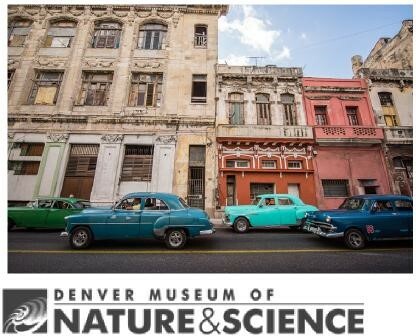 This film is the perfect com­plement to the temporary exhibition, ¡CUBA!